Many people like the idea of feeding their dog a raw food diet because it seems more natural to them. Despite what vets are often taught in school, dogs are carnivores. They have the teeth and gastrointestinal make-up of a carnivore. It’s true that they have lived with humans for at least 15,000 and they have adapted to eating cereals and grains – they have three key genes that let them digest starch much more easily than wolves can – but dogs are still carnivores. Yes, even though dogs (and wolves) will scavenge and can eat a lot of different foods. They are not obligate carnivores, like cats, who must eat meat. But dogs are still carnivores and not omnivores. You choose all of the ingredients yourself so you can select good quality ingredients. You know how the food is made and what you are feeding your dog. Raw diets can be better for dogs with food allergies or certain other health problems since you can tailor the diet to your dog’s specific needs. Many people who feed a raw food diet to their dogs believe that their dogs are healthier. 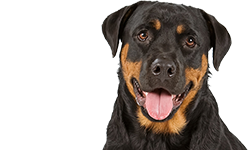 They will tell you that their dogs have good skin and coat, bright eyes, white teeth, and don’t have to deal with ear infections and some of the other problems that sometimes plaque dogs that eat commercial kibble. Their dogs usually produce less waste, too. 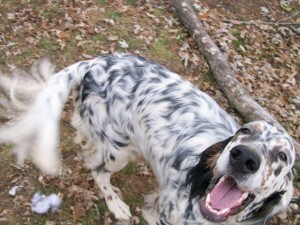 Raw diets that include bones can often help dogs have good dental hygiene and satisfy a dog’s urge to chew. 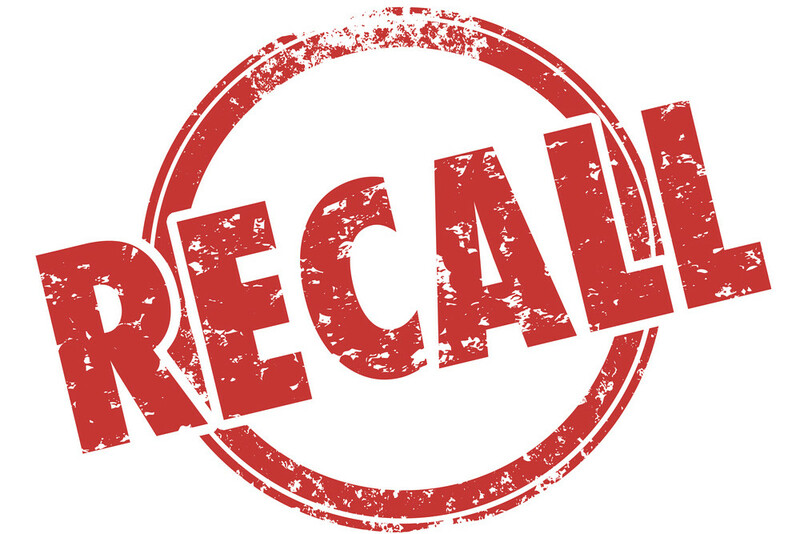 You avoid the problem of pet food recalls when you feed a raw food diet. Bacteria is always a concern with raw food. Adult dogs with healthy immune systems won’t usually have a problem with common bacteria, but they can pose a more serious danger to humans, especially to infants and children and to the elderly, or to anyone with a compromised immune system. 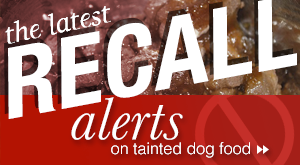 Young puppies, some elderly dogs, and dogs with a weakened immune system can also be at risk when exposed to pathogens such as Salmonella, Campylobacter, Listeria, E. coli, and others. Some raw meats pose special risks because of possible parasites. Raw beef can carry Neospora caninum,; raw salmon from some areas can carry Nanophyetus salmincola; and raw pork and some wild game can carry Trichinella spiralis. These parasites can make a dog sick or worse. While bones provide calcium in the diet, help keep a dog’s teeth clean, and satisfy the urge to chew, they can also pose problems such as choking, intestinal blockage, causing a perforation in the gastrointestinal tract, or causing broken or chipped teeth. 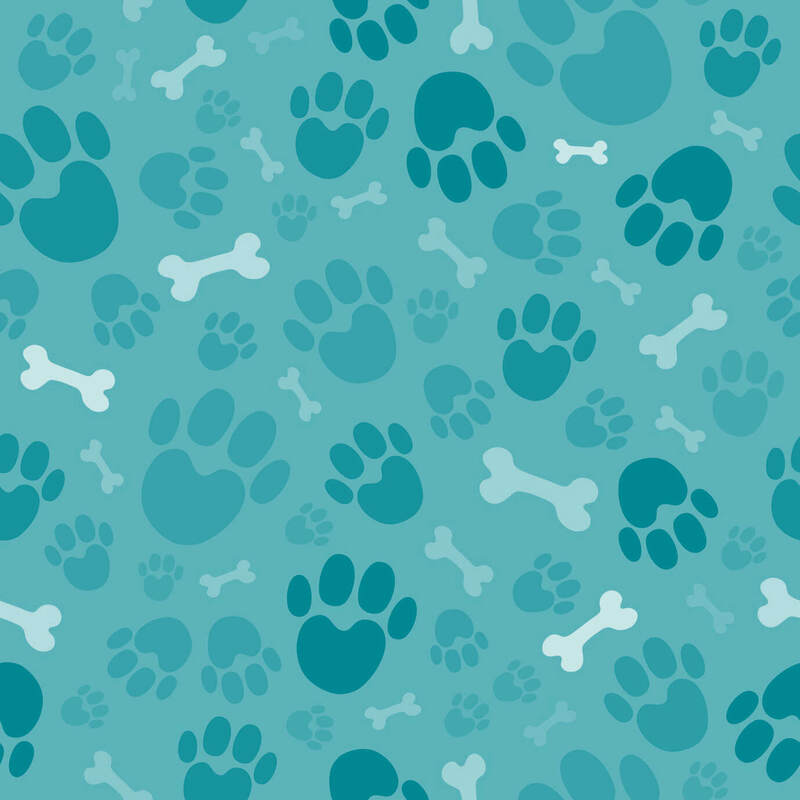 Owners always need to be careful in choosing bones as part of a dog’s meal or for recreational chewing. As with homecooking for your dog, it can be difficult to provide a nutritionally balanced diet with a raw food diet. Most of us aren’t nutritionists and we have learned about what to feed our dogs by reading books and articles, sharing information with others who make meals for their dogs, and talking to experts when possible. Dogs who eat a raw food diet can be subject to nutritional deficiencies. They may not get some of the vitamins and minerals they need. Even if your dog looks and acts healthy, he can have a deficiency that shows up months or years later. This is one reason why many veterinarians oppose raw food diets. Feeding your dog a raw food diet can be very time consuming. It can also be somewhat costly. It takes planning to feed a raw diet. Even though there is no cooking involved, you still have to shop for the food. 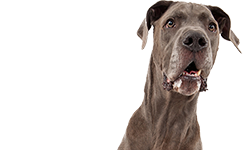 If you have a large dog or more than one dog, you will probably need to buy food in bulk in order to save money, which brings up the issue of food storage. Many people who feed a raw food diet invest in a freezer chest of some kind to store meat. You may also wish to buy a meat grinder to grind your own meat. Some people prefer to grind bones to avoid the risk of having a bone crack their dog’s tooth or cause a puncture. If you shop around and buy in bulk, you can find savings on the food you purchase, but this also takes time. There is also a certain amount of clean-up involved with raw food that you don’t have with kibble – a dog eating raw meat tends to be messier than a dog eating kibble from a bowl. A raw food diet can also be inconvenient if you travel with your dog. You can prepare meals in advance and store them in a cooler. It helps if you stay in hotel rooms with a refrigerator so you can keep the raw food refrigerated. But there is a limit on how far in advance you can prepare your dog’s meals and expect them to stay edible. Most owners probably won’t want to have to purchase ingredients to make raw meals for their dog while they are on vacation but it is possible to do this if necessary. These are all things you should consider before switching your dog to a raw food diet. It’s also advisable for your dog to be in good health. Some people who have dogs with specific health problems will make the decision to change their dogs to a raw food diet but they are doing so (hopefully) after expert advice. In general, you should talk to your vet before changing your dog to a raw food diet. Even if your vet disagrees with you (and he or she might), you should confirm that your dog is in good health. The American Veterinary Medical Association (AVMA) “discourages” the feeding of animal-source proteins to cats and dogs. Considering this position, it’s very likely that your veterinarian will disagree with your decision to feed a raw food diet to your dog. But not all vets disapprove. There are many vets who support whatever you are feeding as long as your dog is healthy. We do suggest that you discuss your dog’s raw food diet with a canine nutritionist if possible. 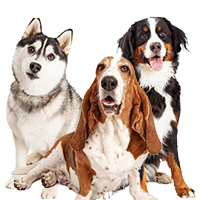 A canine nutritionist can help you map out exactly what your dog needs to be eating, taking into consideration his age, weight, health, breed or mix, activity level, and other factors. There are several options for someone wishing to feed their dog a raw food diet. You can choose to make your dog’s meals yourself. In that case there are several schools of thought about how best to feed your dog. These approaches include the BARF diet, the Prey Model diet, and some more eclectic versions of feeding raw food. You can also choose to feed your dog a raw food diet using commercially-prepared raw foods and raw food pre-mixes. This method has become more popular in the last several years as more companies are making raw foods, and selling them in frozen or freeze-dried form. 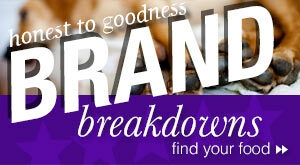 Many retail pet stores carry raw foods now and you can find many brands online. Funny name, serious subject. BARF stands for Biologically Appropriate Raw Food or Bones And Raw Food. This dietary approach was created by Dr. Ian Billinghurst over 20 years ago – long before feeding a raw diet was popular. He outlines his ideas in his book Give Your Dog A Bone and in later books. As his ideas have evolved today, this diet consists of feeding your dog approximately 60 to 80 percent raw meaty bones (RMB). These are bones that consist of about 50 percent meat. Most people feed chicken necks, backs or wings but you can also feed turkey and other meats. The diet also provides about 20 to 40 percent fruit and vegetables, offal (internal organs), meat, eggs, and dairy. The Prey Model diet is currently very popular though it hasn’t been around (under this name) as long as the BARF diet. This approach to raw feeding tries to mimic what a dog would eat in the wild. It draws heavily on the dog’s wolf ancestry. Feeding whole “prey” is encouraged, such as whole chicken, whole turkey, and whole rabbit, for example. This diet typically includes about 80 percent meat, including the heart, 10 percent bone, and 10 percent organs (with 5 percent being liver). This approach to feeding raw doesn’t believe that dogs have a dietary need for things like fruits or dairy and shuns carbohydrates. However, some owners like to include small amounts of vegetable matter based on the idea that dogs/wolves would eat plant matter when they ate the stomach contents of their prey – especially herbivores like rabbits. 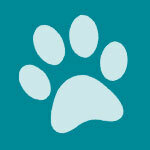 Today there are numerous companies making raw pet food commercially. 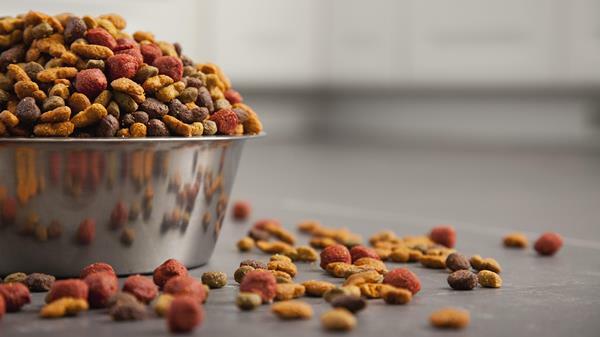 This is an expanding sector in the pet food industry. Some of the companies also make kibble and/or canned foods. Some were originally butchers and meat packers for human foods and made the transition to pet food. 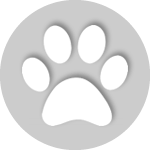 And some of the companies are new to the pet food industry, concentrating solely on making raw pet food. 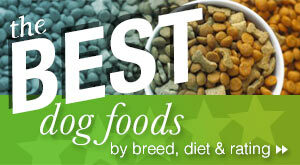 You can certainly find good quality raw food diets for your dog sold commercially. Buying raw food this way, instead of preparing it yourself, is much less time-consuming and often not as messy. Commercial raw food is usually sold frozen, freeze-dried, or dehydrated. The freeze-dried and dehydrated forms are concentrated so they don’t take up much space. Storage for commercially-prepared raw food is usually easier than if you had to go out and purchase all of the meat and other ingredients to make your dog’s food yourself, too. You can even buy kibble and raw food (freeze-dried or dehyrated) combos in some brands, if you like the idea of feeding your dog kibble with a raw food boost. As with any pet food, when buying commercially-prepared raw pet food, you should look for the AAFCO statement saying that the food is nutritionally complete and balanced for a particular lifestage or for all ages. Even if you don’t put a lot of stock in AAFCO testing, this lets you know that the food has met minimum requirements for nutritional adequacy. The downside of commercial raw pet food is the cost. It is generally quite expensive, even taking into consideration that you will feed much less of the food in freeze-dried or dehydrated form. But it is a very convenient way for many people to feed a raw food diet if they don’t have time to shop and prepare a raw diet for their dog themselves. 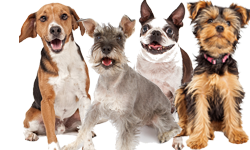 As already mentioned above, raw pet foods have become increasingly popular and they can usually be found at most large pet stores. They are also easy to order online for delivery. Pre-mixes refer to a mix you can buy from a raw pet food company that is a base for your dog’s meal. You have to add fresh foods to the mix such as meat, eggs, and dairy to make the meal nutritionally complete. These mixes do make it easier to prepare a raw food diet for your dog and they help you make your dog’s meals nutritionally complete as long as the pre-mix meets AAFCO approval. Be sure you read and understand the AAFCO statement since it may specify that the pre-mix is approved for certain lifestages or situations. Many people who feed their dog a raw food diet also add a vitamin and mineral mix to their dog’s food to make sure he is getting all of the nutrients he needs. There are a number of these mixes you can find online along with other supplement blends. We’ve already mentioned the concerns about bacteria with raw food diets. Most healthy dogs with a strong immune system probably won’t be bothered by bacteria. Dogs have strong stomach acids and a shorter gastrointestinal system than humans so food is usually in and out quickly. However, bacteria on raw food (or where dogs relieve themselves) can easily be passed to humans. For this reason, it’s important that you practice good sanitation in your kitchen and when handling raw foods. Read the entire food safety site for more tips to help you keep food safe. Dogs who eat homemade meals require a lot of variety in their diet so they will have all of their nutritional needs met. You can’t simply make the same meal all the time. Dogs who eat homemade meals usually need supplements added to their diet or at least a good multivitamin so they will be assured of getting all of their vitamins and minerals. Some dogs who eat homemade meals can have nutritional deficiencies. What are Some Good Raw Dog Food Brands? A useful article, and I’m glad you point out that you should check with a nutritionist as it is important to make sure the raw diet isn’t deficient in any key nutrients. It isn’t uncommon for well-meaning pet parents to do more harm than good, and a bad raw diet can cause more harm than even the cheapest store bought pet food. An excellent, concise, well informed, intelligent and logical book for feeding your K9 or Cat Kids a raw and species appropriate healthy, well balanced diet is, NATURAL NUTRITION FOR DOGS AND CATS by Kymythy Schultze. She has been breeding dogs for decades, giving some evidence to the results of this information. My K9 son is 8+yrs old , very healthy, never has been sick, and his vet says he doesn’t even need his teeth cleaned. Wishing the best of Well Being to all :-). She has been breeding dogs for decades, giving some evidence to the results of this information.